Find your cost – Step 2 – Know your people. Know your people huh? I guess the title makes it sound like I am going to have you take each person in your invoice and payment process to lunch. I think you should, but that has nothing to do with today’s topic. 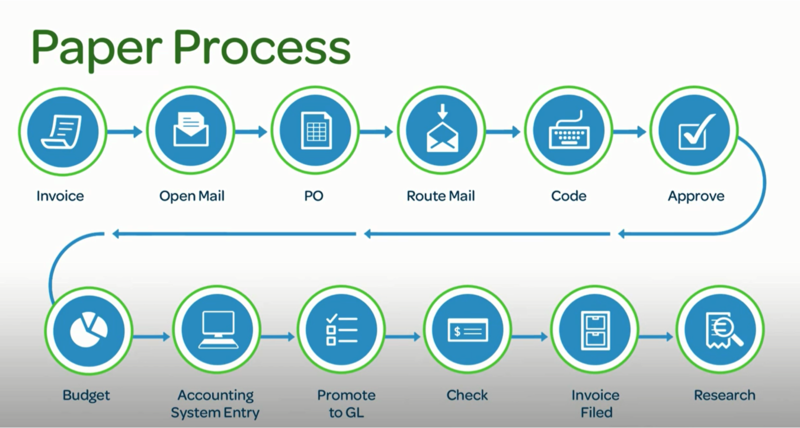 As a recap yesterday I wrote about creating a process map to document every step in the invoice and payment process… from receipt of the invoice to the filing of the check. Today’s step is taking that process map and going step by step to find every person in that process. Using the example from yesterday, take a look at the image below. To find the people all you have to do is find out how many people open the mail…. then how many people code… and, well you get the point. So, step one is to create a map and step two is to find the people in the process. Tomorrow I am going to write about the third step of applying time to each step.